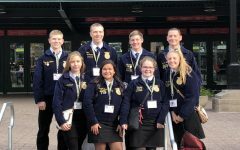 Members from the Atlantic FFA chapter traveled to Boyer Valley to participate in the Northwest Subdistrict CDE's. 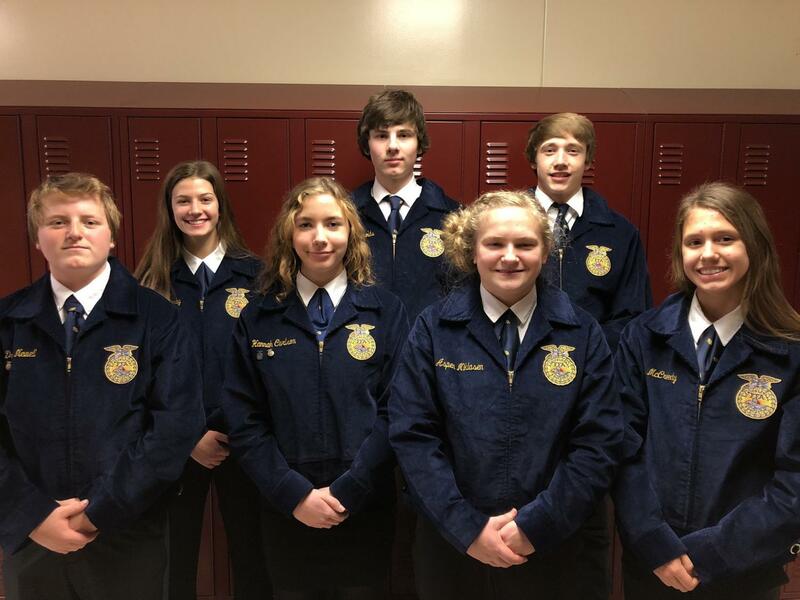 CONDUCTING BUSINESS - Drey Newell, Alyssa Derby, Hannah Carlson, Garrett Reynolds, Aspen Niklasen, Skyler Handlos and Taylor McCreedy made up the conduct team for the 2019 Southwest District CDE's. At the end of the day, the group placed fifth. 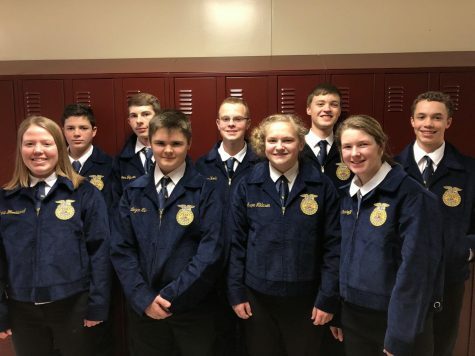 Twenty-two FFA members traveled to Boyer Valley for the Northwest Subdistrict CDE’s on Wednesday, Feb. 6. 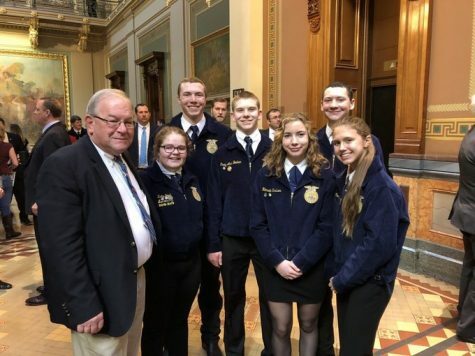 Three of the fifteen will advance to districts, and two were balloted for the 2019-20 Southwest District FFA Officer Team. 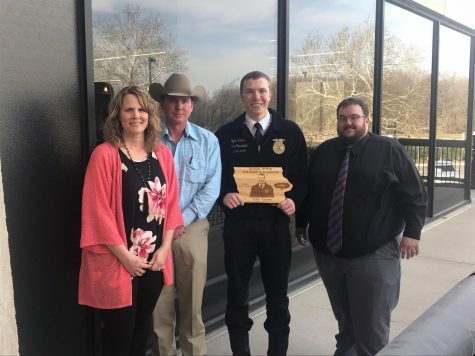 Seniors Tyler Comes and Nathan Behrends also had their Iowa FFA Degree approved at District Review Night. 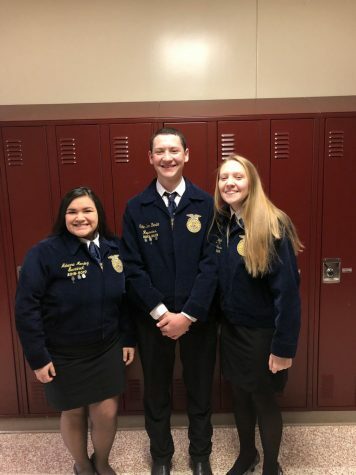 Advancing to districts is Comes in Extemporaneous Speaking, junior Carli Henderson in Job Interview and freshman Bryan York in FFA Creed. 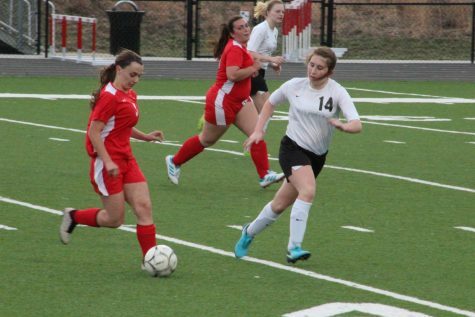 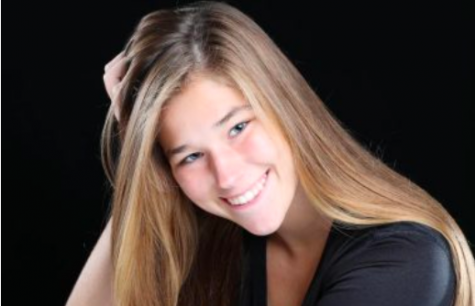 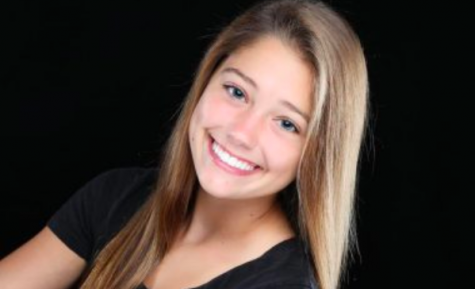 Senior Katie York is an alternate to districts in Public Speaking. 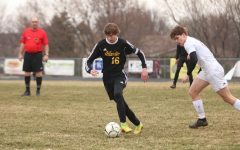 The Conduct Team, consisting of sophomores Garrett Reynolds, Alyssa Derby, Skyler Handlos, Drey Newell, Taylor McCreedy and Hannah Carlson, and freshman Aspen Niklasen, placed fifth. 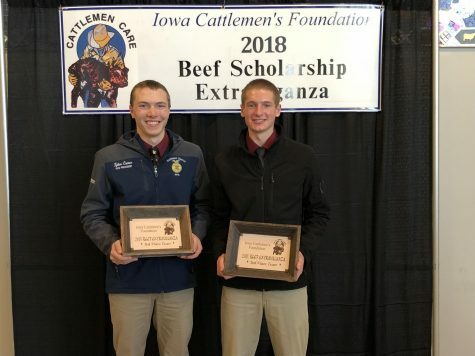 Tate Den Beste and Craig Alan Becker also placed fifth in Ag Broadcasting and Ag Sales, respectively. 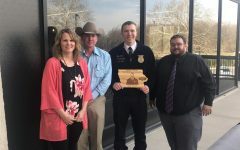 Comes will be advancing to State for his beef entrepreneurship proficiency award, as well as McCreedy for her equine entrepreneurship proficiency award. 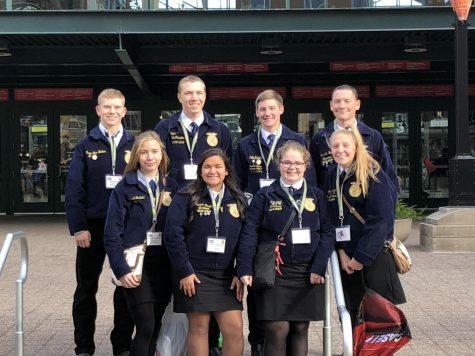 Nine freshmen took the Greenhand Test at the event, including Malena Woodward, Wyatt Redinbaugh, Cooper Jipsen, Logan Eilts, Bryan York, Aspen Niklasen, Drew Engler, Torie Steinhoff and Drew Skartvedt. 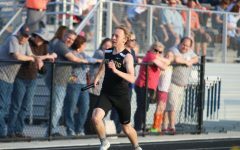 Place-winners included Engler in first, York in eighth and Niklasen in ninth. 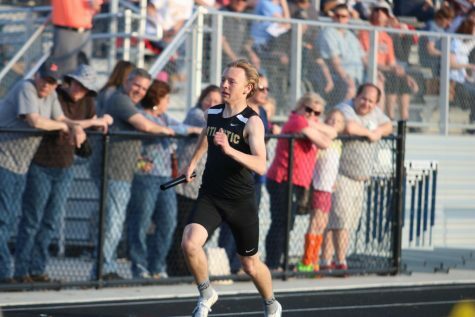 Gold and silver were awarded to the rest of the participants. 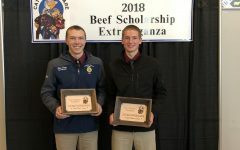 Newell and Behrends also participated in the farm business management test, with Behrends placing first and Newell second. 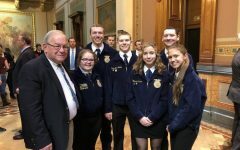 The District Convention will take place in March, where advancing members will participate in their respective events and district office voting will take place.